For those who work hard in their company or personal life, you know that it is difficult to keep up with all of the routines. There are fifty million things to accomplish in one day with too little time and too few people to help. If you want to begin saving time, you can invest in a virtual assistant. This will help you to take some of the extra things off of your plate. A virtual assistant is someone that is hired to a company or an individual on contract. Most likely, they will be hired by a variety of people or areas that need extra help in order to hold together the details of the company. Most virtual assistants will work in a variety of job positions, from administrative to technical to creative. Most likely, a virtual assistant will advertise themselves in an area of expertise. 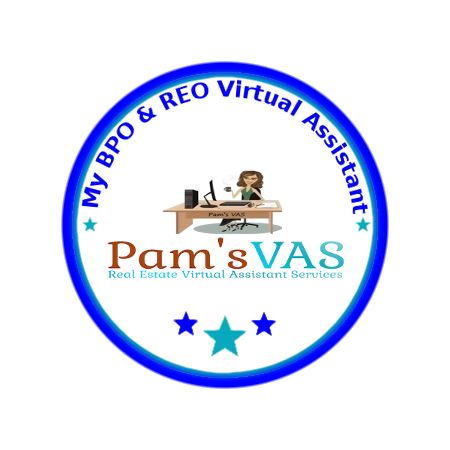 For example, Pam’s VAS, simply focus on Real Estate contracts, e.g., broker price opinions (BPOs), REO administrative tasks etc. The job description that a virtual assistant writes for themselves is dependent on the angle that they focus on for gaining clients. One of the benefits of being or working with a virtual assistant is with the idea that they are virtual. This means that they will work for you from their own home office. This also means that they will work with a variety of companies. This allows you to only pay for the work that you need as well as find someone who will only do the extra tasks that you can’t seem to fulfill. If you need an extra helping hand, the place to turn to is a virtual assistant. This particular contracted job is an easy way to get the extra work load taken care of. By getting a virtual assistant, you will be able to keep your business flowing without having to do the extra work or hire another full time employee. A virtual assistant is one who can ensure that the loose ends are tied together.